Human Capital Ventures is committed to providing you with the best online experience while visiting any of our websites. As part of this process, we use standard third party cookies to obtain data about your behaviour online while you are on our sites, and we also track information about the number of times our site is visited and the number of people who return to our site. We track all information as an aggregate and therefore we do not collect any personal information about you as an individual, unless you apply for a job, upload your CV/Resume, fill in a form on our site, or sign up for email alerts through our site. We track the number of visits to our website, where each visitor came from (i.e. the site visited prior to coming to our sites) and where each visitor goes to from our site (the next site visited after ours). We store a cookie on your PC for 2 years which is linked to your IP address this allows us to track whether you return to our site. If you do not wish us to track your cookie information you can set your browser to reject cookies, please visit the ‘Help’ menu of your internet browser to find out how to do this. This may impact your user experience on our site and restrict you from using certain site functionality. Our cookies do not store financial information or information which is capable of directly identifying you (such as your name or address). Cookies simply allow our website to retrieve this information in order to track your experience. However, if you wish to restrict, block or delete cookies from Humancapitalventures.com – or any of our or other websites – you can use your browser to do this. Each browser is different so check the ‘Help’ menu of your particular browser to learn how to change your cookie preferences.  Throughout your journey on Humancapitalventures.com you may notice that there is content from other websites, for example a video from YouTube or a branch map from Google. We also offer you the opportunity to further engage with us and share information with others using social networks such as Twitter. This content is added so we can keep you up to date with carefully selected information that you may find relevant or of interest, however this can result in these websites sending cookies that Human Capital Ventures has no control over. Consequently, we suggest you check any third-party websites for more information about their cookies and how you can manage them.